Lill Babs Wo finde ich den Mann? 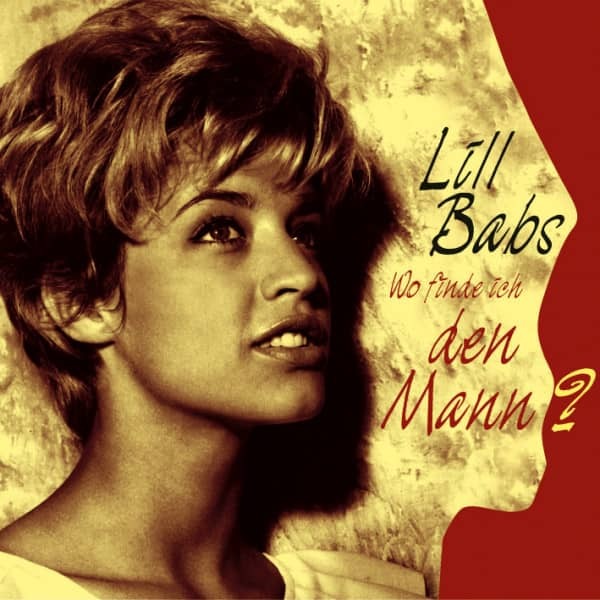 Lill Babs: Wo finde ich den Mann? 1-CD with 28-page booklet, 34 tracks, playing time 78:58 minutes. Article properties: Lill Babs: Wo finde ich den Mann? Album titlle: Wo finde ich den Mann? Where can I find the man? Among all the Swedes who tried their luck in German show business in the 60s, Lill Babs is the absolute gem. Although she never made it to the top of the charts, she made the German pop scene sparkle and her name still has an almost magical sound, which even encouraged many fans to travel to Stockholm. There you can still see Lill Babs on stage, because she is still a celebrated star in Sweden. What's more, she's the prima donna! Lill Babs - her real name is Barbro Margareta Svensson - comes from northern Sweden. She was born there in Järvsö on March 9, 1938. She remembers that she started singing in her early childhood. During her school days she also became interested in sports, especially athletics, and her achievements in this field were remarkable. But then she sees the great American revue films with Ginger Rogers and Fred Astaire, with Doris Day or Cyd Charisse in the cinema and is so impressed that it is clear to her: She also wants to sing and dance! She wants to wear glittering robes and be in the spotlight! So she starts rehearsing songs like On The Sunny Side Of The Street and practicing in front of the mirror. Her English skills were not yet well-founded at the time, and since she learns the texts by ear, small mistakes creep in here and there. Every beginning is difficult. In 1953 she sang at a school festival in Järvsö and was subsequently featured in the local press. The boss of a small club also reads this and lets them perform in his restaurant. The 15-year-old, whose parents are always present at the events, is well received by the audience. And because the club owner knows the renowned orchestra director Simon Brehm, who is currently looking for a new singer, he arranges a meeting. So it comes that Lill Babs - then of course still little Barbro - was allowed to sing to the famous master in early 1954. He immediately recognizes her talent and senses that she has the necessary ambition - and engages her for his next Volkspark tour. Lill Babs leaves the school with the intention to return afterwards. But that won't happen, because she quickly gets caught up in show business. After her first performances with Simon Brehm in Stockholm and the following tour through the Folket-Parks, she makes her debut on Swedish Radio. In the same year their first shellac record Min mammas boogie was released, and soon they reached film and TV offers. Simon Brehm, with whom she toured through the Swedish amusement parks in the following years, dissolved his orchestra in 1958. He continues to support Lill Babs as a manager, consultant, mentor and friend. The girl from Järvsö goes on her first Volkspark tour with the'Lill Babs Show'. She is accompanied musically by Claes-Göran Cronas and his band. It's kind of a test. Lill Babs, who has learned a lot and worked hard in the meantime, passes it with splendour and glory. Her record career is also making progress. She releases cover versions of hits like Que Sera, Sera and Kiss Me Honey Honey Kiss Me, but also duet recordings with the Swedish young rock'n' roller Little Gerhard. At the end of 1959 she recorded the song Är du kär i mej ännu, Klas-Göran? It was written by Stikkan 'Stig' Anderson, who made a name for himself many years later as ABBA manager in the history of pop music. In January 1960 she reached the Swedish charts and reached number 1. 22 weeks in total the recording kept in the hit lists, and Lill Babs cashed a golden record. From now on she is one of Sweden's most popular singers and represents her home country at the 1961 Eurovision Grand Prix in Cannes. At this point in time the renowned music manager Stefan von Baranski is already in the starting blocks to bring Lill Babs to Germany. He still remembers it well today: "There were hardly any show stars in our country back then. In Sweden it was different, because there the artists performed in the so-called Folket Parks, and that was actually the best school. A Swedish bandleader had brought Lill Babs to my attention and I went to Sweden with a recommendation from him. First I met their manager Simon Brehm, a very likeable man. He was a little sceptical at first, but then agreed, and so I negotiated a contract with Polydor for Lill Babs." Customer evaluation for "Wo finde ich den Mann?" Ich kannte bislang nur den Titel "Wo finde ich den Mann" aus dem Jahr 1961 von der im April 2018 verstorbenen Sängerin. Ich bin auf diese CD gestossen und habe sie mir bestellt und den Kauf nicht bereut. Ich habe viele Titel das erste Mal in meinem Leben gehört. Ein sehr gutes Preis-Leistungs-Verhältnis. Und sehr gute Klangqualität, als wäre man im Studio bei der Aufzeichnung der Lieder. 32: Sonne, Pizza und Amore (& PETER KRAUS).